When all you want to do is drive, there’s no car better suited for your needs than the 2019 Chevrolet Corvette Stingray. Long-term reliability and ride quality are central to this sports car. 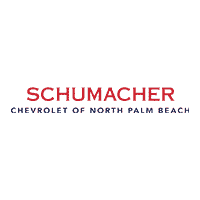 All that’s left is coming down to Schumacher Chevrolet for a close-up view of the Corvette Stingray and its array of trims. Contact us to schedule a test drive and experience Lake Park as it should be. Why the 2019 Corvette Stingray? We appreciate your interest in our inventory, and apologize we do not have model details displaying on the website at this time. Please fill the form out below and our team will quickly respond, or, please call us at 561-257-0865 for more information.